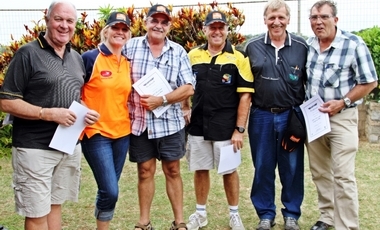 With a record number of 24 entrants and 48 participants at this event, Durban Wings Club has once again managed to host the biggest and the best SAPFA Fun Rally thus far in 2013. 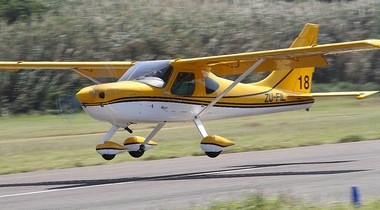 They once again put out the challenge to all the flying clubs to match or better this number of entrants at any SAPFA Fun Rally to be held this year. 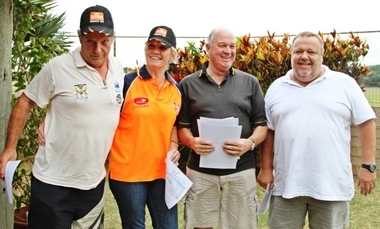 The Fun Rally event was combined with the Precision Class of four participants namely Ron Stirk, Barry De Groot, Frank Eckard and Hans Schwebel. 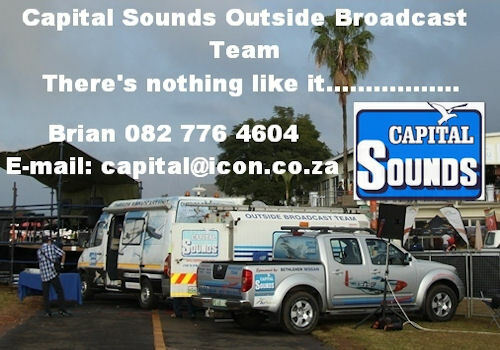 The overcast weather and increased winds predicted by the meteorological office for about lunch time on Saturday, led to a last minute change by Mary de Klerk on Friday evening to start the Rally at 08:30. Thankfully the overcast weather held off until the last aircraft arrived safely back at FAVG but the winds gusting at 30 knots proved a little too much for some of the first time rally participants and even for the more experienced pilot's and many aborted the glide approach leg of the spot landing competition. Mary held a full training and map preparation with a pre-briefing session at Norwood Boys School on the Friday afternoon for the participants of the race. 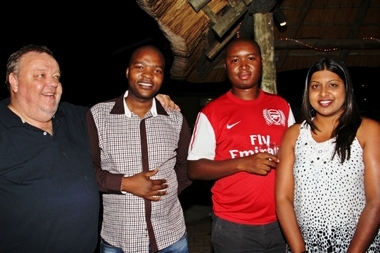 The DWC then hosted a braai on the Friday evening at the club with a further pre-briefing and registration. Air Traffic Controllers Nancy Chitray and two of her colleges Mzi Chabalallo and Sibusisa Nkabinde also attended the braai on Friday evening. Saturday morning before the race, DWC catered a welcoming scrumptious breakfast of bacon and cheese rolls with a steaming cup of coffee all sponsored for by the club while the Safety Officer Fred Bebington conducted his safety briefing. Fred's concluding words to the participants was to have fun and keep it safe. Nancy's briefing was concluded with her telling the participants to keep a clear head. The route plotted was approximately 97.0nm from start to finish. 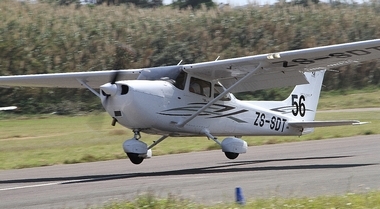 The aircraft were routed down the coast from the Coopers Lighthouse on the Bluff to Pahla station at Amamzimtoti then to Umkomaas and the Renishaw road river crossing to a station near Pennington. It then took participants inland to a road rail crossing at Mount Bevon then up north to Waterfall Dam through to Umlazi Station then to Shallcross station onto the Greyville racecourse north of the harbour mouth south of Durban. The race ended with two spot landings back at the Virginia Airfield. The first was a powered approach touch and go and the second was a glide approach to full stop. By the time the last of the aircraft arrived back the predicted 30 knot wind was gusting at FAVG. The participants arrived back to a delicious lunch which was again catered for and sponsored by the DWC. 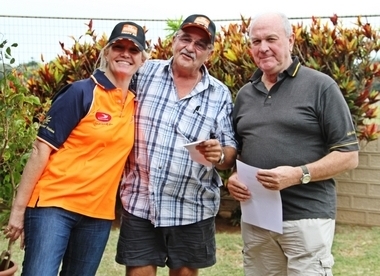 At the prize giving after lunch Mary de Klerk spoke about the safety aspects of competing in a fun rally and how it helped in improving the pilot's general flying skills. 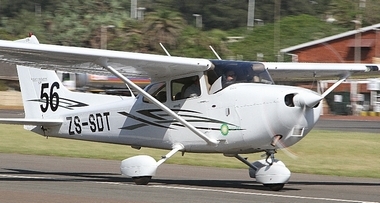 Mary also encouraged the instructors and students to practise their landing skills in gusting wind conditions by having competitions amongst themselves at least once a month. 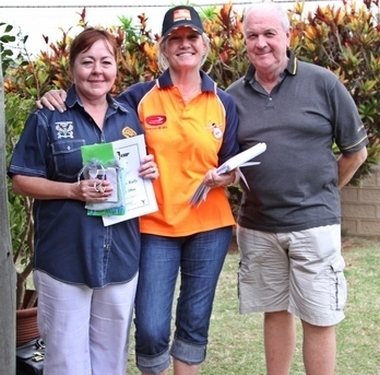 Mary encouraged their further participation at the SAPFA fun rallies. Peter Smith the Chairman of DWC welcomed all to the club and went on the hand out the certificates and prizes. 1. 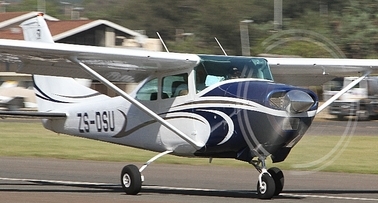 Pilot's best landing: Three nights stay at Umhlanga Sands for two adults and two children. 2. 1st Pilot in the Fun category: Two nights at Riverside Hotel for two. 3. 1st Navigator in the Fun category: Two nights at Tropicana Hotel for two. 4. 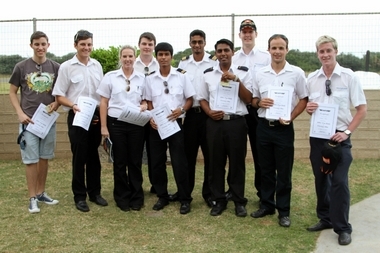 2nd Pilot and Navigator in the Fun category: A breakfast for two at City Lodge in Umhlanga. 5. Top fourteen in the Fun category: Two vouchers at the Bamboo Sushi Lounge valued at R135.00 each. 7. Worst Landing: A full 60 minute Body Massage for two sponsored by Health and Beauty Court. 8. Best Observation: A 45 minute Back and Neck Massage sponsored by Health and Beauty Court. 9. 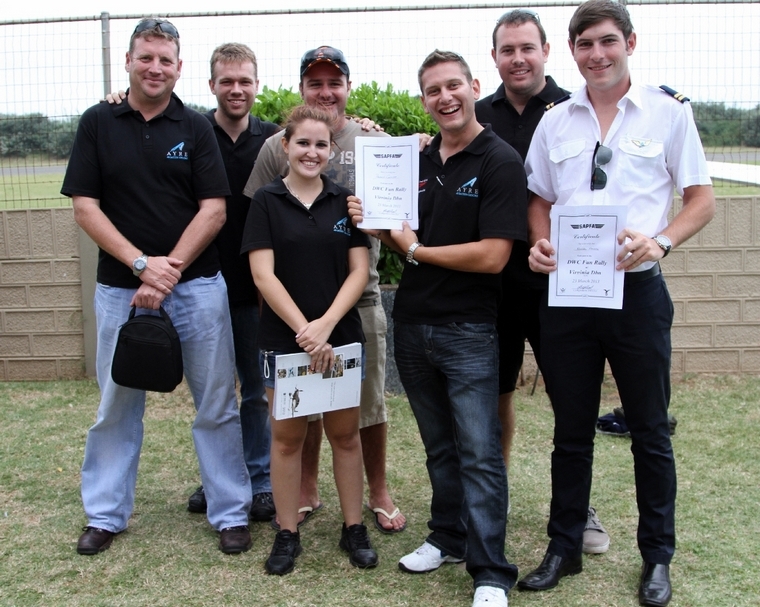 Best Precision Pilot: A Hirsch R200.00 gift voucher. 10. 1st 2nd and 3rd Places: A year's subscription from African Pilot. 11. 1st four places: A DWC Golf Shirt each. 12. Lucky prize draw: DWC Woven Shirts. 13. Lucky prize draw: Three Hirsch Cook Books. 15. ATC Prize: The day Spa sponsored a 45 minute Back and Neck Massage and the Bamboo Sushi Lounge sponsored two vouchers valued at R135.00 each. 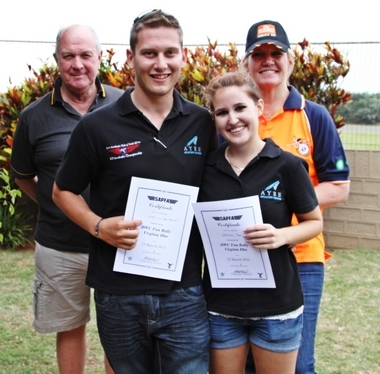 A special mention and thanks must go to Cate Juselius the secretary/manager for the Durban Wings Club Air-racing team and her team who went out of their way to provide outstanding hospitality to all the participants and supporters. 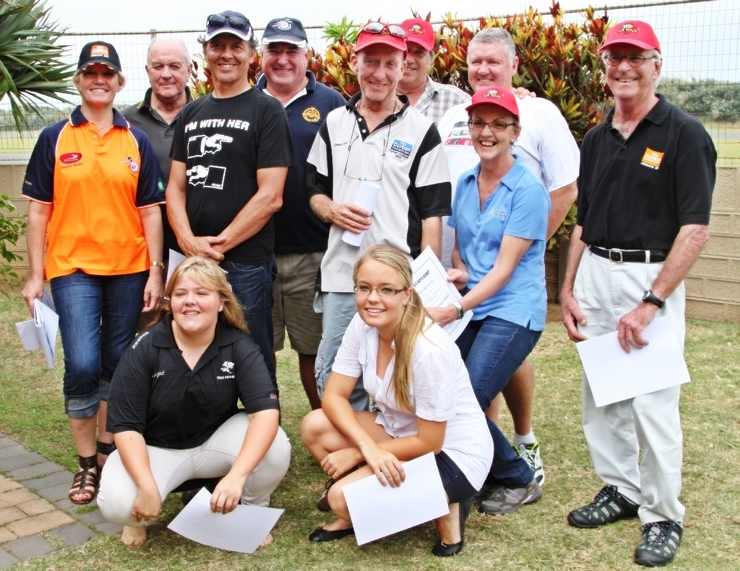 Cate Juselius and her team also arranged all the sponsorships, catering and great prizes.